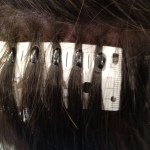 David Barron is a top Atlanta hair stylist. Born and raised in the East End of London, England, he attended the Vidal Sassoon Academy in London. David worked in the designer London Salon for four years before branching out. His work eventually took him to various movie sets including Robin Hood and Hamlet, with his work on location for the movie Fried Green Tomatoes bringing him to Atlanta. His work on movie sets gave him the opportunity to work with many celebrities such as Glenn Close, Mel Gibson, Kevin Costner and Christian Slater. More recently he has done hair for Katie Couric, President Jimmy Carter, Elton John, Gwen Stefani, Sarah Ferguson, Duchess of York, Ashley Hinshaw and Kim Zolciak of The Real Housewives of Atlanta. With over 20 years in the beauty industry, David Barron has spent his time creating the best hair salon in Atlanta for precision cuts, corrective color, highlights, and more. 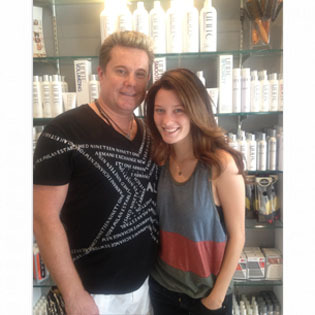 David and his Atlanta hair salon have received many accolades. 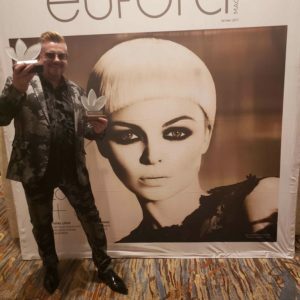 Most recently, David Barron was named Best of the Best International Irish Hair Dresser 2015. He also received the extreme honor of being named a finalist for Hairstylist of the Year by the North American Hairstyling Awards (NAHA). This is one of the most prestigious awards that a hair stylist can receive. He has gained world-wide recognition being nominated twice for International Stylist of the Year for the Canadian Mirror Awards and was nationally recognized as a Top 40 Colorist for Be! Beautymaker Magazine in 2012. David Barron and his work have been featured in Modern Salon, InStyle Hair, and Allure magazine as a Makeover Master for color and highlights. His Atlanta salon has won awards for many hair categories, including “Winner of Atlanta’s Best Color & Highlights” and “Winner of Atlanta’s Best Hair Salon” for Best of Citysearch. The salon has also won awards through MyFoxAtlanta’s Hotlist, Cityvoter, and has been featured in magazines such as Modern Salon, Beauty Launchpad, and Southern Living. David has been involved in several TV shows and featured in many magazine publications. His television highlights include regular appearances on WXIA Channel 11 Peachtree Morning and Movie and a Makeover. He has also been featured in many publications such as Peachtree Magazine, Inspire Quarterly, a leading international hair magazine where he was featured on three covers, and Modern Salon, the leading national magazine for the hair industry, where he was featured on the cover. David was also a columnist for over 10 years for The Piedmont Review. 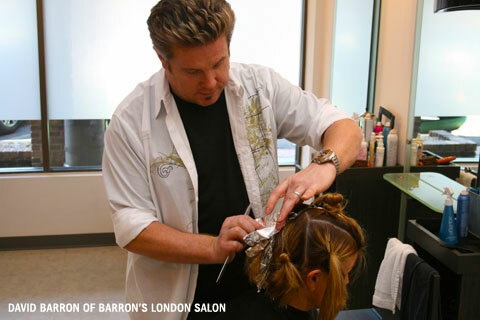 Whether David is in his salon or on location, his goal is complete customer satisfaction. Regardless of whether a guest is interested in an avant-garde look or a softer feminine style, David’s philosophy remains the same: “Hairstyling is more than just a technical skill. It involves listening to clients and working with them to achieve their best look.” It’s his philosophy to enhance a person’s individual beauty without pushing a style or product just because it’s trendy. With a passion for hair and people, David Barron is a renowned Atlanta stylist with strong business fundamentals, integrity, value and a deserved reputation for excellence. To reserve your own appointment with this award winning stylist, contact our Buckhead, Atlanta hair salon today.